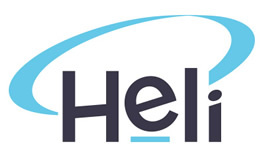 The Higher Education Leadership Institute (HELI) offers two scholarships every year to enable selected individuals to undertake the Graduate Certificate in Higher Education Academic Practice. These scholarships may be awarded to individuals who can demonstrate the significant contribution that they could make to their communities as a graduate of the course. While the scholarships are not specifically designed for Aboriginal and Torres Strait Islander peoples, we encourage applications from prospective students from indigenous backgrounds. Applicants must meet HELI’s course admission requirements to be eligible to apply for a scholarship. Each scholarship covers 80% of tuition fees (currently valued at $8,000). What do we mean by contribution to community? Giving back to your community means contributing to the common good of that community, and using your professional skills to improve the well-being of others in your community. This might be through your participation in a not-for-profit organisation or a specific community project. As part of your application you are required to demonstrate through a written statement how, as a graduate of this course, you will use the expertise you have gained and the graduate attributes you have acquired through your studies to make an impact and strengthen your community. If you meet the criteria detailed above and wish to apply for a scholarship you must complete HELI’s Application for Admission Form available from our website and attach a concise statement (500-1,000 words) that demonstrates how you meet the criteria for the scholarship and what you intend to do with your qualification after graduation. The statement must be accompanied by at least two statements of support from community leaders, including their contact details. Applications must be lodged no later than 1st November in each year. Completed applications should be emailed to info@heli.edu.au with HELI Scholarship in the Subject line. All applications will be considered by a Scholarship Committee and successful applicants will be notified in early December to commence their course in the following January. The decision of the Scholarship Committee is final. The Committee may also recommend that in exceptional circumstances more than two scholarships be awarded. The scholarship is not transferable and must be taken up on the offer date. HELI reserves the right to withdraw the scholarship if the student demonstrates poor academic progress or is guilty of misconduct as outlined in HELI’s policies and procedures. Scholarship holders will be asked for permission for their names and personal details to be used for promotional purposes.